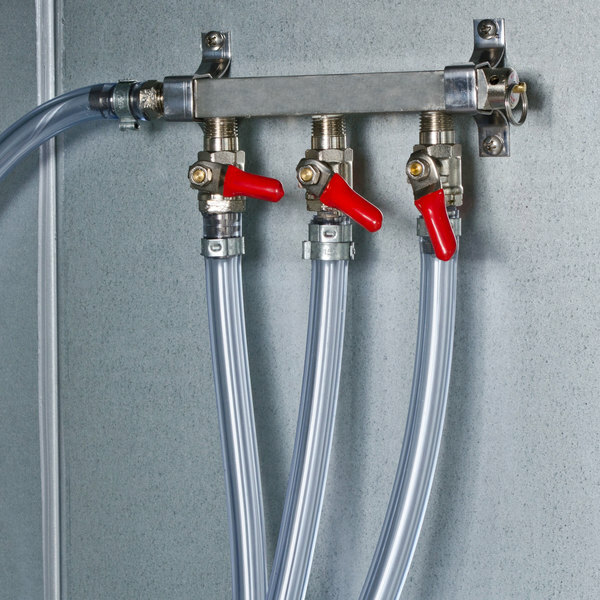 This Beverage-Air 402-189A 3-way draft manifold allows you to distribute CO2 flow to any 3 kegs in your beer system that require the same pressure! The manifold connects to the primary regulator, which sends a pressurized flow of CO2 through a gas hose to the manifold. The manifold then distributes that CO2 evenly among the kegs, and each line has a shut-off valve so you can halt the flow to a particular keg, if needed. It also comes with an integrated mounting bracket so you can install it on the cooler wall or wherever is most convenient.